Get a fantastic look for almost anything with these versatile products - in a fabulous range of colours to suit absolutely any application. 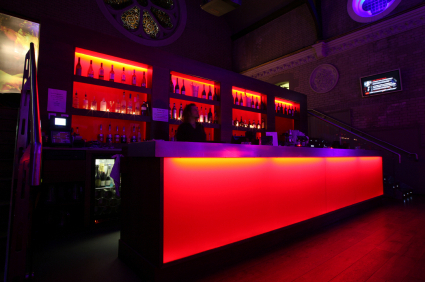 The only barrier with these fantastic LED rope lights is your creativity! The LED rope light is also available in 110V for heavy industrial installations. We can also provide a 108LED/m (4 wire) or 36LED/m (3 wire) rope. The 36LED/m 6W/m LED rope in Green makes an ideal emergency exit indicator. 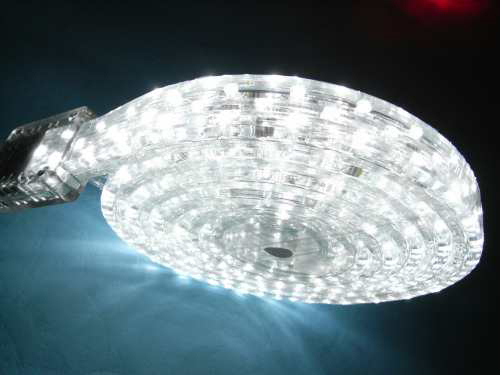 Further more, these brilliant lighting products are UV stable and produce very little heat. 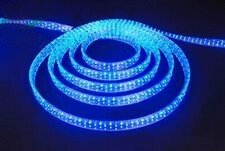 LED Rope Lights available by the 50m roll. They come complete with 24V power cables and fixing clips. These LED Rope Lights require a 24Vdc transformer to operate, and one transformer can run multiple lengths each, up to 25m - please see our Power Supplies or call our sales team for advice.